Visiting County Monaghan? This part of Ulster is not identical to Northern Ireland and has a number of attractions you will not want to miss. Plus there are some interesting sights that are slightly off the beaten path. 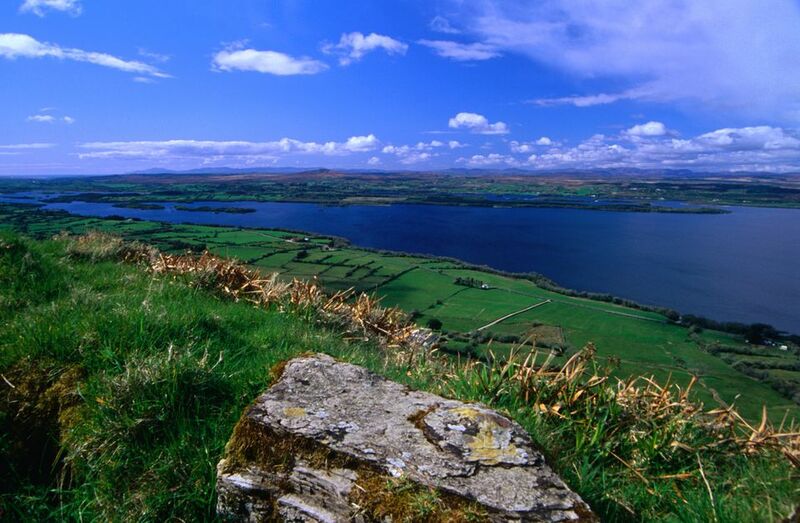 So why not take your time and spend a day or two in Monaghan when visiting Ireland? Here are some ideas to make it worth your while. The Irish name for County Monaghan is Contae Mhuineacháin, which would translate as "the county of small thickets" or "small hills". Nicknames for Monaghan are "the Farney" (the name of a medieval kingdom) or "the Drumlin County," a fitting description of the landscape dominated by drumlins, small hills rounded during the ice ages. Irish cars originally registered in County Monaghan will bear the registration letters MN. the county town of County Monaghan is (nor surprise there) Monaghan Town, other towns of at least regional importance are Carrickmacross, Castleblaney, and Clones. Monaghan has a size of 1,291 square kilometers and the 2011 census recorded a population of 60,483 inhabitants. Not necessarily the most exciting town, Monaghan is, however, good for a leisurely stroll and a look at the townscape (if you can ignore some modern developments). Start at the Diamond, the central square in town and home to the Rossmore Memorial—a drinking fountain reminiscent of a small church tower. Also look at the market hall from the 18th century and the later courthouse. The Monaghan County Museum nearby will give you a potted history of the place and its surroundings. And for a good view, climb up the hill to St. Macartan's Cathedral. And then head out to the Rossmore Forest Park for leisurely walks. Clones is an unassuming small town near the Cavan border and its round tower is almost hidden away. Yet the round tower of Clones is quite impressive. Standing in a churchyard setting (though hemmed in by a new estate on the other side), it rises an impressive 75 feet into the sky. Built in the 10th century CE it is almost complete, with just part of the upper story and the conical cap missing. A short walk away you may also find the remnants of the Ulster Canal—the re-opening of which is a pipe-dream for many locals and the tourism industry. The canal stores on the edge of town are still used. Now here's a conundrum ... should you visit the Patrick Kavanagh Centre in Inishkeen though you never heard of Patrick Kavanagh, yet almost certainly heard his words? The Irish poet and novelist was born here in 1904 and died in Dublin in 1967. Regarded as one of the finest writers of the 20th century, he nonetheless gets eclipsed by the likes of Beckett, Yeats, and Joyce even though many can belt out "Raglan Road" like there is no tomorrow. Explore the life and works of the poet in Inishkeen, then do the Kavanagh Trail through the county. Visiting County Monaghan and stuck for something to do in the evening? Well, you could do worse than head out into a local pub (which, by default, will be an "original Irish pub") and then join a traditional Irish session ... so why not give it a try? Most sessions start at around 9:30 pm or whenever a few musicians have gathered.